George and his wife Paula opened The Carpet Gallery Inc. in 1997. 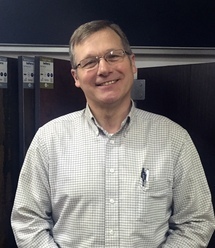 George started as a sales professional for a flooring company in 1976. He then became a sales representative for a large carpet mill throughout the early 90's. With 40 years of experience behind him, George is someone you can trust and rely on. He truly loves helping his customers find the right product for the right price. With a background in interior design, Paula Johnson helps our customers pick out complementary colors and styles that enhance each room and its decor. From ceramic to hardwood floors, Paula is a guru at finding that perfect choice. For almost 20 years, she has provided excellent customer service to each of her clients. 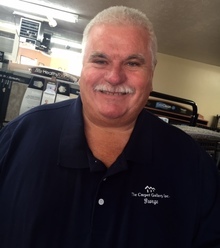 As the manager of The Carpet Gallery Inc, Lyman Gantz has the most knowledge and experience in the industry. He started as an installer and soon became a sales professional. After being in the flooring business for 45 years, he is the person that customers ask for by name. Call today to make an appointment or stop by to speak with the best in the business! Amy Lucas is the daughter of George and Paula Johnson. 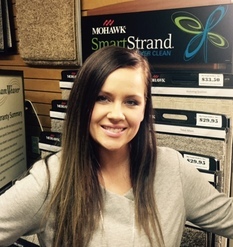 After growing up in the flooring industry, she is committed to continuing the family business. She previously worked for a luxury retailer which instilled in her a commitment to excellent customer service and attention to detail. she looks forward to helping you with your next project.